Excellent quality carpets and perfect workmanship from Classic Carpets. 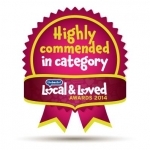 We would not hesitate to recommend Classic Carpets as a reliable and professional service. We are very pleased with the finished product and will use their service again. From start to finish, order Ian and his staff could not do enough to assist.Samples and advice were given with a smile with a genuine desire to provide a top class service.They succeeded! We are more than pleased with the results, look will definitely be going back when we have other rooms upgraded. Excellent, personal and friendly service from Classic Carpets, would come back.. Excellent customer service – 10 out 0f 10! Bought second time and I would do it again! We recommend 100% Classic Carpets. Great carpet, great service, great fair price! I have just had the last of three carpets laid by classic carpets. The service was first class from start to finish and the carpet is gorgeous. Competitive prices and flexible staff, my faith in local tradesmen is restored. A big thank you to Ian and the team . Classic Carpets in Haslingden provides great products and at great prices. 5 stars. I have had carpets from Classic Carpets for many years and they have all been of excellent quality. Once again we have been overwhelmed with the service from Classic Carpets. Give Ian (Wood) an idea of what you are looking for and he will come up with the goods, all at an affordable price. Then we had the pleasure of Ian (the fitter) who did a marvellous job, even staying until late in the evening to get the job done. Thank you. Superb service, Ian W was very approachable and provided the very best advice for choice and price. The other Ian did an excellent job of fitting the carpets, he kept at it until the job was done and never lost his motivation or sense of humour! Without reservation, I would highly recommend “Classic Carpets”. Ian is very helpful, very friendly and always does a very good job. Recommended.